William Pilsworth was the vicar of the Church of Ireland in Donadea and had given room and board to Roman Catholic friars even though they disagreed on some theological matters. 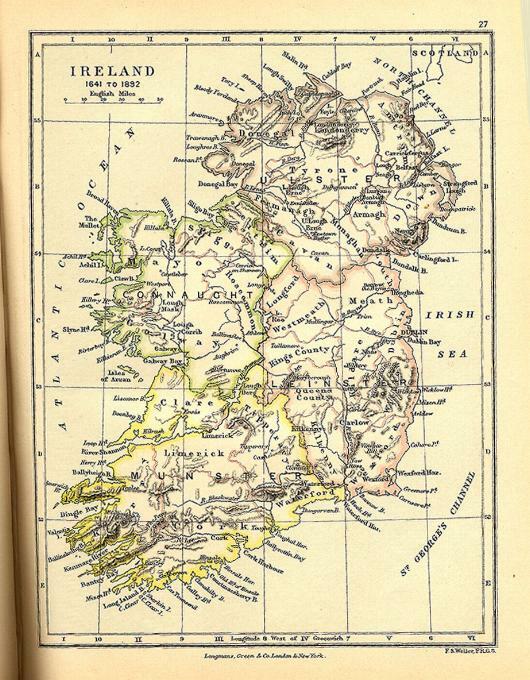 In 1641, there was a rebellion on Ireland and many fled the countryside to find refuge in Dublin. William was one of the last to do so and was detained by the rebel army outside of Dublin. When they searched his things they found a letter from a brother-in-law who asked William to kill a rebel and bring the head with him so that their family might purchase security from the powerful by spilling the blood of the hated. Though William had done no such thing and had no plans to do so, he was given a political choice: attend a Roman Catholic mass as an ally or die as an enemy.He refused to be manipulated and so he was marched to the gallows. Before the trapdoor released and William could plunge to his death, a Roman Catholic priest by the name of Peter O'Higgins intervened. Peter had never met William and knew nothing of him but gave a detailed and impassioned speech insisting that this execution would be an unholy and reprehensible act. Having been chastised by Peter O'Higgins, William's captors released him. The protestant government soon cracked down on the rebellion and moved into the area with speed and vicious efficiency. Peter remained in his parish even though he had been advised to flee the expected vengeance against Roman Catholics in the area. He was arrested and turned over to the military powers. 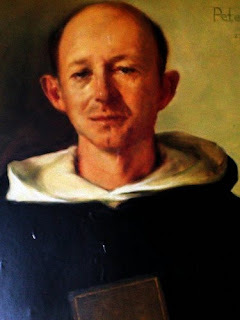 The commander of the force, a man by the name of Ormonde, handed him on down the line to a lesser officer but expected that the Peter--a Dominican priest--would find mercy from those in whose hands he found himself.Almost twenty protestant clergymen wrote letters begging mercy and leniency for Peter but these appear to be ignored. He was beaten, abused, tortured, and finally marched to the gallows to die. He was accused of trying to convinced protestants to give up their protest but could only be found guilty of simply being Roman Catholic.When he stood on the gallows, he was presented with two pieces of paper: one was a warrant for his execution and the other was a pardon to be given to him on the condition that he recanted his faith.He had requested that the pardon be printed up for him to consider upon the gallows and his accusers had complied. The assembled crowd looked on as Peter considered both documents. They couldn't decide what they wanted more: to see the priest die or to see the priest sacrifice his faith for his life. They had long ago left behind devotion to the one who was the Bread of Life. He picked up the pardon and some in the crowd were excited as they imagined he would now recant his position and join with the protestants. Instead, he spoke loudly and for all to hear: "For some time I was in doubt as t the charge on which they would ground my condemnation; but, thanks to heaven, it is no longer so; and I am about to die for my attachment to the catholic faith. See you here the condition on which I might save my life? Apostasy is all they require; but, before high heaven, I spurn their offers, and with my last breath will glorify God for the honor he has done me, in allowing me thus to suffer for his name." With these words, he threw the pardon to the dirt below the gallows. The trapdoor was released and he was hung for refusing to give up on his faith--the faith that this accusers claimed but had long ago forgotten. This was not a protestant or Roman Catholic faith alone; it was a faith that transcended political labels and rested solely in devotion to Jesus. As he slowly died at the end of the rope--and even as they were preparing to kill Peter--William Pilsworth stood at his feet repeatedly yelling: "This man is innocent! He saved my life!” Peter O'Higgins died on the 23rd day of March in the year 1642.